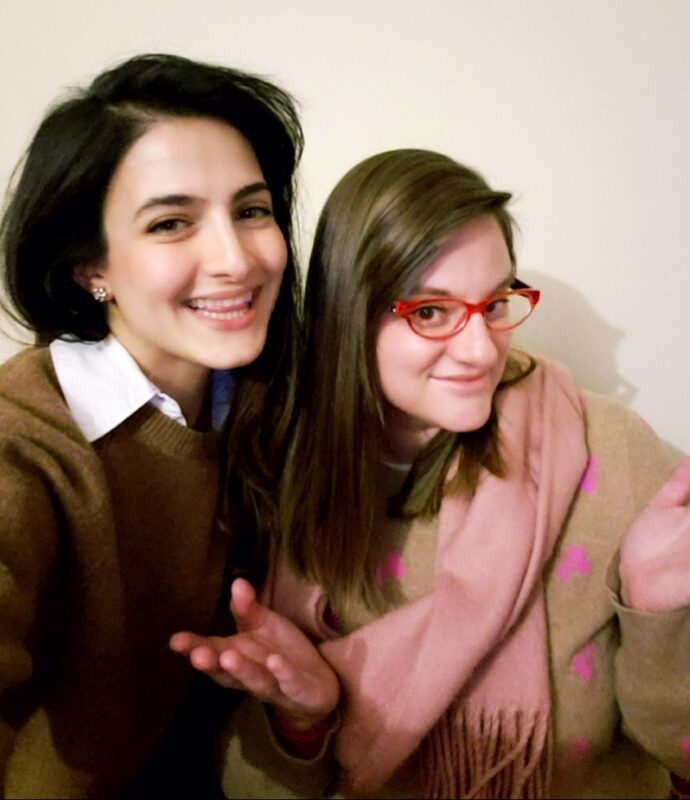 Last night, I put on my pink Afghan pakol to head over to an Afghan refugee’s house for dinner here in New Haven. It was a true honor to be a guest in the home of Afghanistan’s Romeo and Juliet. Zakia and her husband Ali had to flee as refugees being literally hunted as her family was trying to kill them in the wake of their forbidden love marriage (he is Hazara/Shia and she is Tajik/Sunni). Their epic journey to freedom–a daring escape from honor killing–and attempts to apply for asylum have been covered by the New York Times. 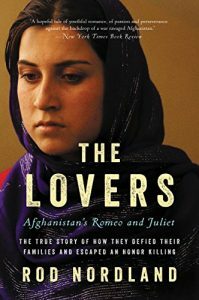 Rod Nordland wrote an entire book, The Lovers: Romeo and Juliet in Afghanistan to share in depth how they risked death for love. Despite all of the media attention, they managed to escape safely to America where they are raising their two small girls. 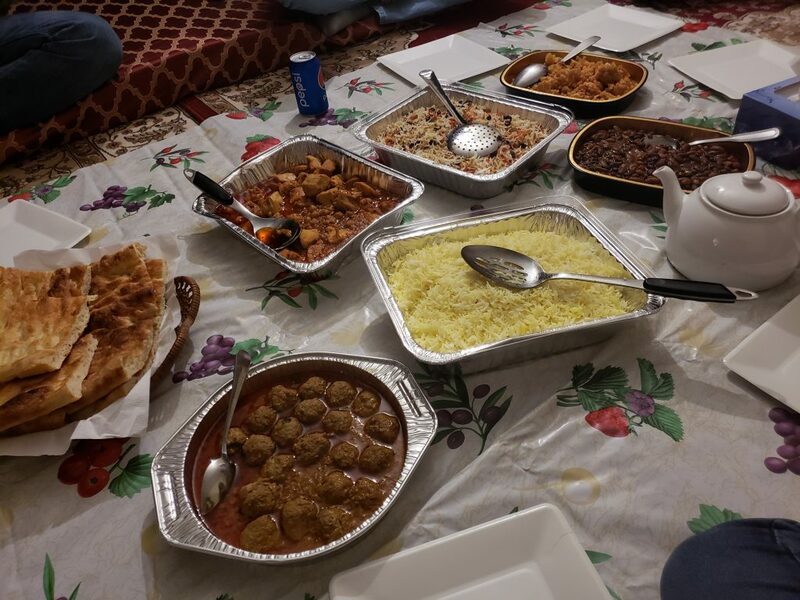 Zakia cooked us up an amazing & generous Afghan feast (vegetarian dishes included), and we ate in the traditional style on the floor (which brought back fond memories of my time in Afghanistan with my Sufi host family there when I was on a one-woman peace mission). We spoke in Dari/Persian as she does not understand much English yet. 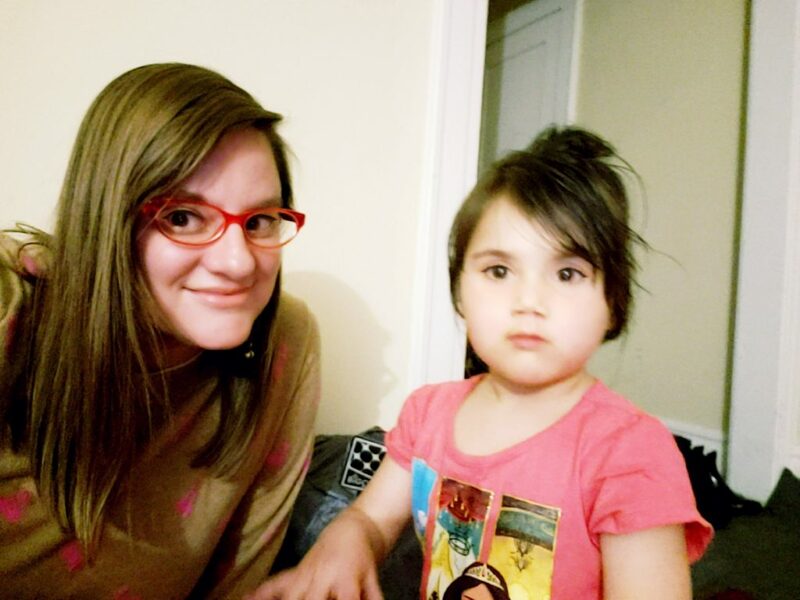 Zakia thought I was Iranian–she could not believe that I was American (and was then shocked to learn that I had lived in Tajikistan, where they initially fled). 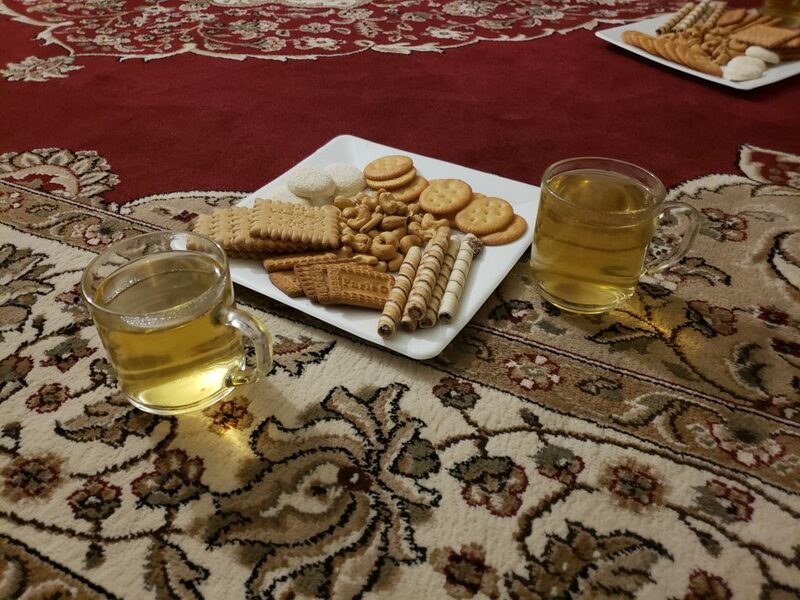 When we arrived, Zakia served us tea and cookies–along with some cashews–to awaken our appetites. With New Haven currently blanketed in snow, a hot cup of tea after coming in from the cold was the perfect start. 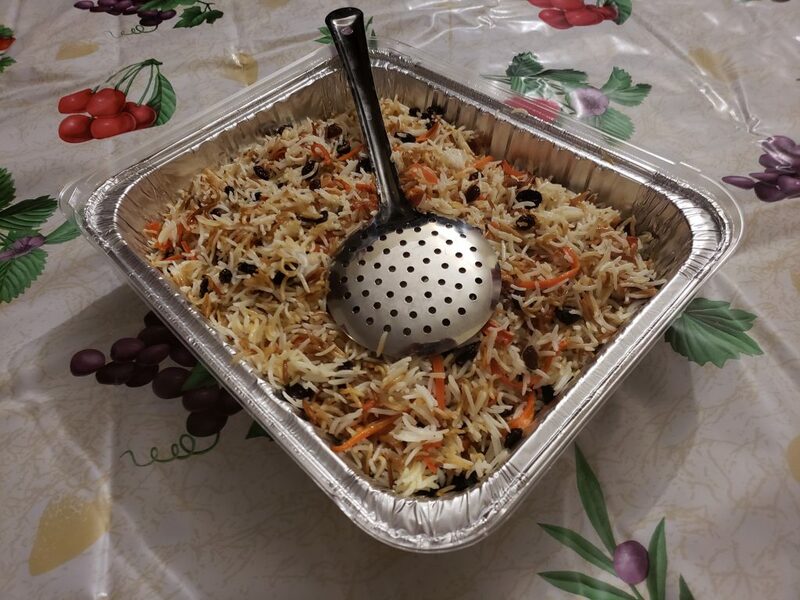 I got very excited when Zakia brought out Kabuli pulao–Afghan rice with raisons, carrots, and sweet spices–which my host family served each night in the dark as Taliban fighters fought their battles after sunset while we ate by moonlight and candlelight. 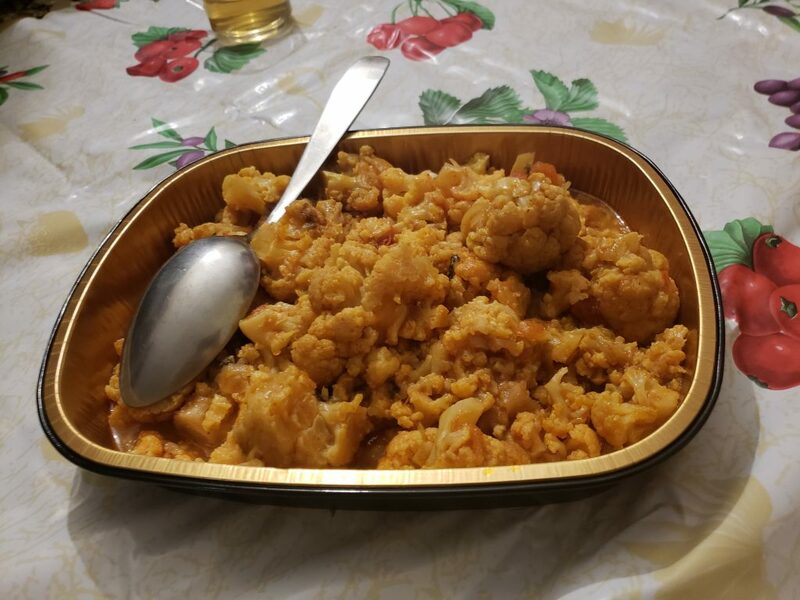 The cauliflower gulpea was beyond yummy. I’m not usually a huge fan of beans, but the bean curry was very rich in flavor and it rocked my world. We all had seconds–couldn’t get enough. I also made a new Iranian friend and we did the Dari translating for the evening (she did the heavy lifting). We learned that Zakia and Ali had no idea what America would be like when they fled here–they didn’t know anything about the United States. Zakia likes watching films from Bollywood when she can find the time, and avoids news stories about Afghanistan to focus on her well-being and healing. A brave woman, strong and bold beyond comprehension. It’s hard to fathom all she has survived. 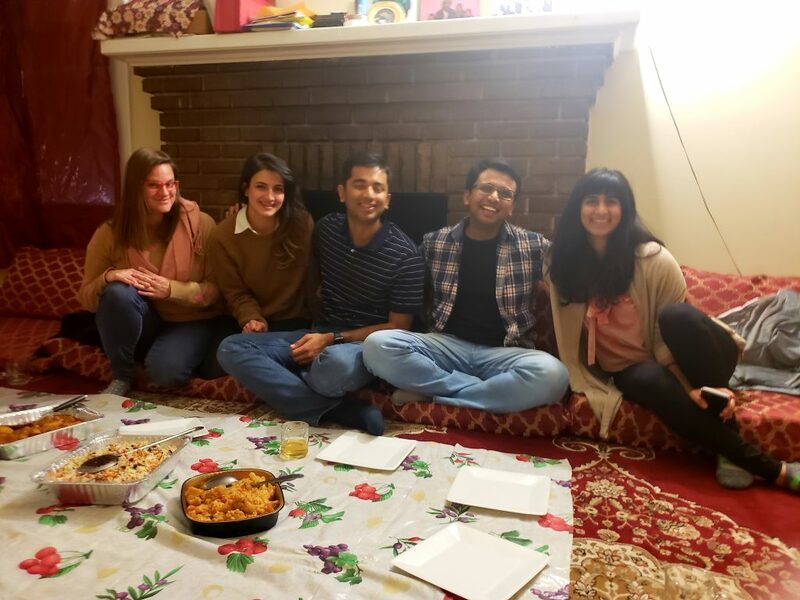 This communal experience was made possible thanks to a new app made by a Yale junior (my friend Kevin) and his colleagues that arranges home-cooked dinners for strangers to meet and feast. Afghan hospitality is legendary (the best in the world, really), so it was fun to watch the other guests’ expressions as the delicious dishes kept on coming! The food was so good we told Zakia she should open up a restaurant (any angel investors out there?). I also got a kick out of playing with tiny and spirited Ruqia with whom they fled Afghanistan. Playing with Ruqia and her sister made me flashback to all of the children I met and profiled in Afghanistan. What an absolute tragedy and injustice it is how many Afghan children have ended up as collateral damage in the never-ending war there. 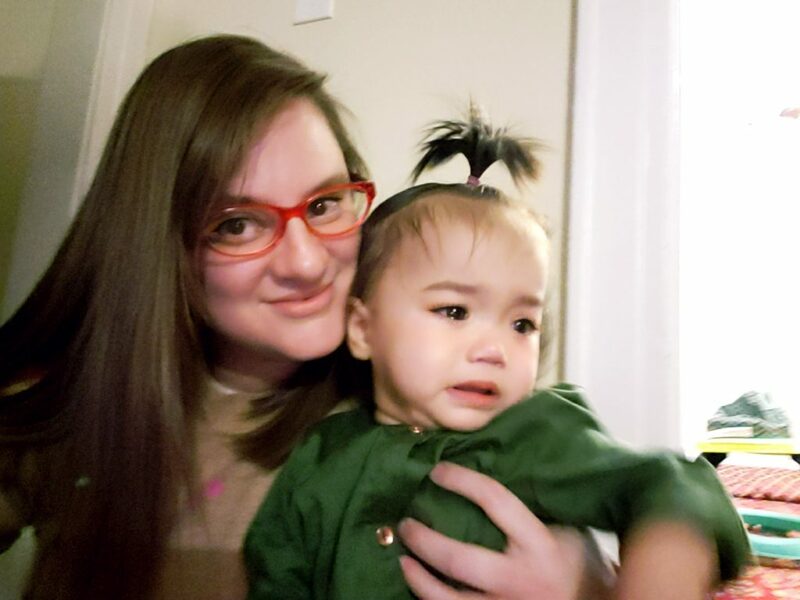 I tried comforting the baby while her (talented!) 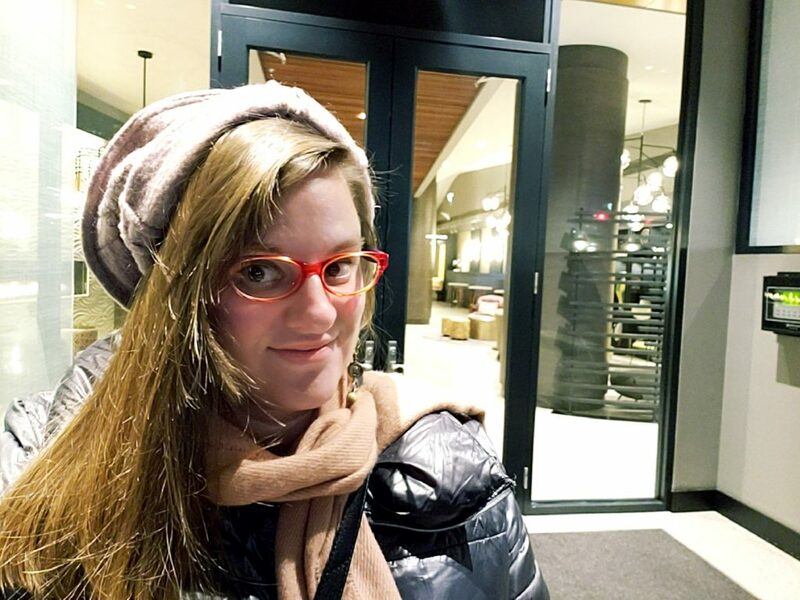 mom was at work in the kitchen–her tiny ponytail was too adorable! A volcanic tuff of hair. 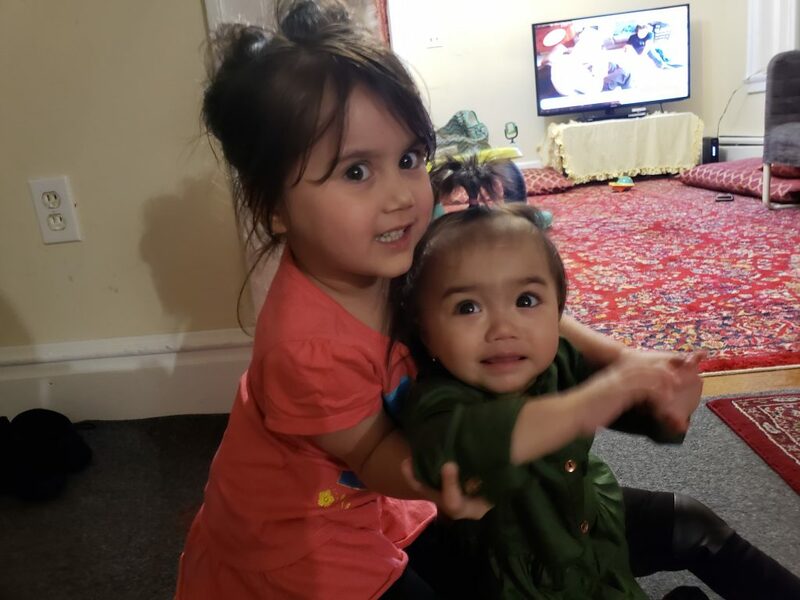 Imagine when these adorable little girls grow up and learn how their parents risked their lives in the name of love–a truly harrowing tale with a happy ending here in New Haven. I’m so glad they are all safe and sound, and grateful to have them as new neighbors. To hear Zakia and Ali tell their tale in their own words, watch the PBS segment below. May all those seeking safety and freedom find it.